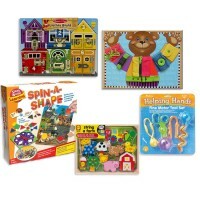 With Spin a Shape puzzle game kids will play, learn early math, recognize the geometric shapes in everyday life. Spin, find a shape and complete the colorful picture with this early math game for kids. 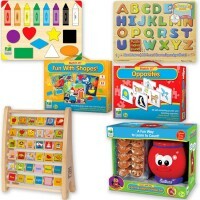 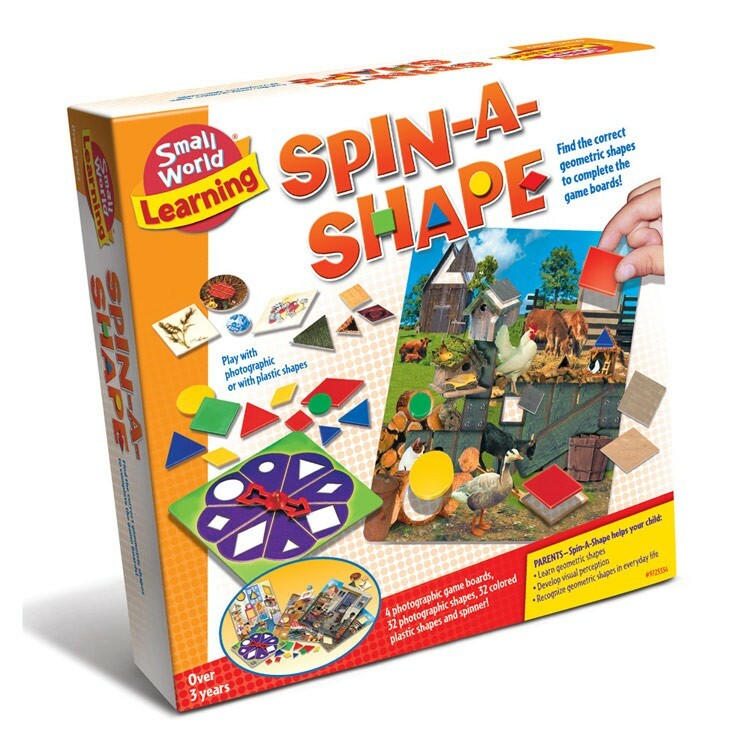 Spin a Shape Geometric Shapes Matching Game by Small World Toys' Learning toy series helps kids to recognize and memorize the basic geometric shapes. 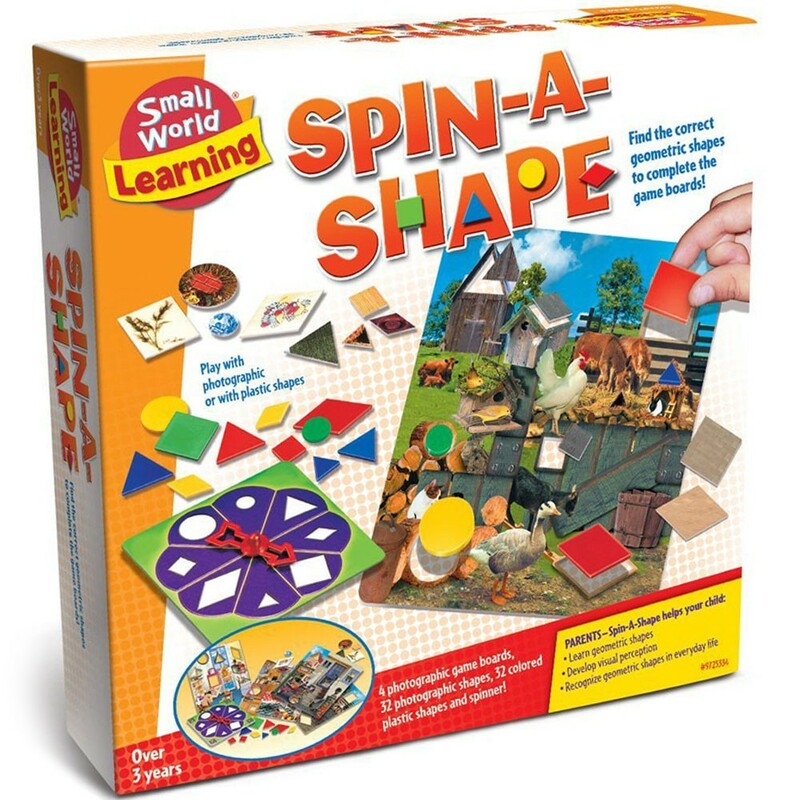 This shapes learning game includes 4 photographic game boards, 32 photographic shapes, 32 plastic shapes in 2 sizes and perfectly sized spinner. 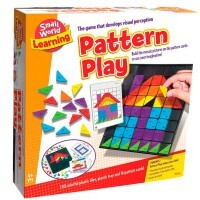 The puzzle game comes with the detailed instructions. 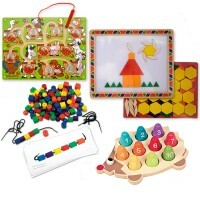 The object of the game is to match the right geometric shape to the missing ones on the pictures of the kids room, farm, house, and backyard. 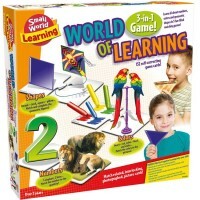 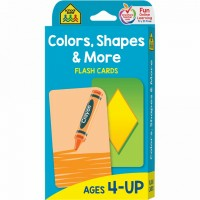 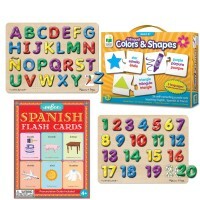 Children will play, learn shapes, and recognize the geometric shapes in everyday life around them. 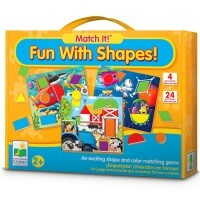 The Spin a Shape Geometric Shapes Matching Game from Educational Toys Planet is a great addition to any home or classroom thinking game collection. 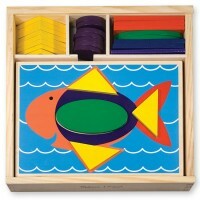 Each board measures 9 x 9.5 inches. 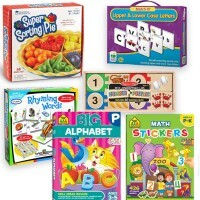 Write your own review of Spin a Shape Geometric Shapes Matching Game.